Ivory Coast, officially known as the Republic of Côte d\'Ivoire, is a country located in West Africa. Consisting mainly of flat landscape with a handful of mountain ranges, the Ivory Coast has an amazing climate during the winter time. It holds the position of the world’s largest cocoa producer and third largest coffee producer. These two products alone represent more than half of the income of the country’s export. The Foreign investment holds a prominent position in the Ivoirian economy and accounts for between 40% and 45% of total capital in Ivoirian firms. The Ivory Coast is an English name for Cote d'Ivoire, an African country of around 20 million people on the Atlantic coast. The official language is French, and in 1985 the Cote d'Ivoire government requested the world to use the French name Cote d'Ivoire in every other language, instead of the translation meaning 'Ivory Coast'. Despite this claim, many English speakers and media today still continue to refer to it as 'Ivory Coast', while others have adopted the term Cote d'Ivoire as the English name. There were several independent African kingdoms located in Cote d'Ivoire in pre-colonial times. The French presence in the region was militarily extended from a couple of coastal outposts in 1843, to claim gradually total authority over the interior parts of the region by the year 1915. It was given independence in the year 1960, and soon grew to be the world's leading supplier of Cocoa and pineapples. Coffee is the other major export produced in Cote d'Ivoire. There have been several military coups, and intermittent civil war has been raging in Cote d'Ivoire since the year 2002. Large parts of the country were controlled by rebel groups rather than the Ivoirian government. The tension was mainly divided between the mostly Muslim north and the Christian south. In the year 2011, the northern rebels finally gained the upper hand and took over the entire nation of Cote d'Ivoire. While the government is technically an elected parliamentary democracy, the recent strife, often centred around election disputes, has meant that military power often plays a crucial role in decision making in Cote d'Ivoire There are more non-African foreigners living in Cote d'Ivoire than other nations in the region, largely from France, Spain, Vietnam, and Lebanon, but many Europeans have had to leave on account of the recent warfare and violence. Common elements of Ivoirian cuisine include cassava, plantain, peanut, onion, fish, and chicken. Each of the major tribes and ethnicities of Cote d'Ivoire has its styles of music and other cultural customs. Some of the major musical styles are called zoblazo, zig lib thy, zo ug Lou, and coupe decale. The reggae singer Alpha Blondy is one of the most famous singers from Ivory Coast. One of the largest ethnic groups in Cote d'Ivoire is the Akan, who are also a major group in the neighbouring country of Ghana. The most popular sports in Cote d'Ivoire are soccer football and rugby. The official currency of Cote d'Ivoire is the CFA Franc, which is currently shared with 13 other African countries. Ivory Coast or Côte d'Ivoire is a country located in Western Africa, famous for its aromatic coffee beans and tropical rainforest climate. The best way for you to arrive is by air where you will arrive in Port Bouet Airport in Abidjan, the city capital. From the time you get out of the plane and take your first ride along the streets, you will immediately feel Ivory Coast’s vibrant community and rich culture. The first thing that you need to keep in mind is not to bring any thick winter clothes because the climate can be a bit hot and humid. So if you’re all decided to brave your way in this country, make sure to go through these guidelines that will contribute to making your relocation process successful. There are two best ways to look for a rental in Ivory Coast. First, you can go to the main cities like Abidjan and Bouake and look for rental signs outside properties. French is their official language so watch out for any posts that say ‘a louer’ or ‘for rent’. Second and the most convenient way is to look for professional English speaking real estate agents on online portals. They know the place better and can help you transact with the landlords in case you don’t speak French. The average cost for basic service like water, gas and electricity in the city centre is around €300 per month. Your monthly internet connection will be roughly €60 and local prepaid mobile calls are charged €0.15 per minute. Most locals live in compounds in and outside the city. But for expats, the two common types of housing that you can find are houses with cement floors and apartments. You can also choose between a short term and long term agreement, based on the length of time you intend to stay. 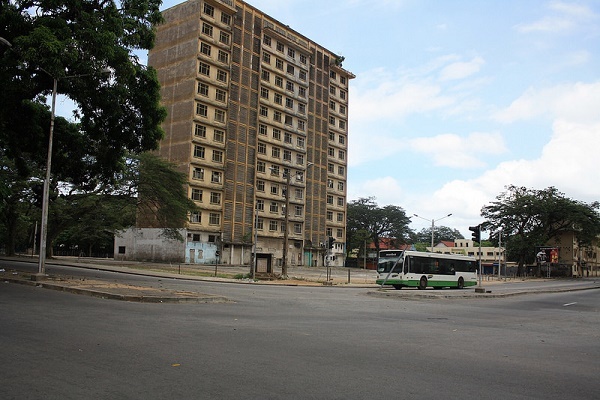 If you want the best location and condition of a unit, you should look for rentals in Abidjan where you can find a one bedroom apartment for €500 a month and a three bedroom unit for €1000. Ivory Coast follows the old French educational system where there are six years in primary level, four years in junior high school and three years in senior high school. You will find many private and state schools, especially in the city centre. 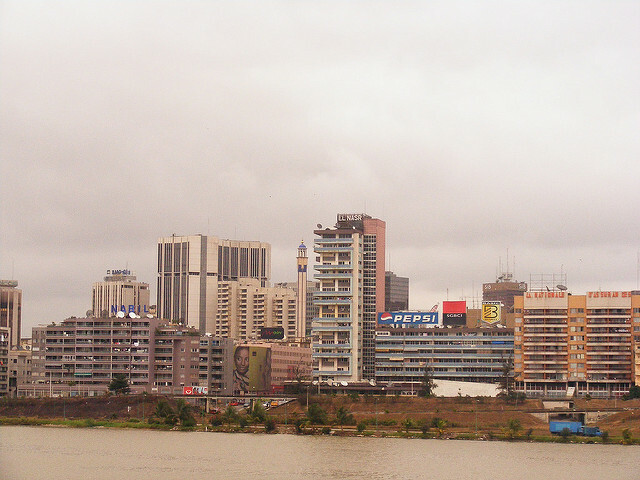 One of the most prominent international institutions is the International Community School of Abidjan. You can also check The Université Félix Houphouët-Boigny a local elite school in Abidjan founded in 1964. Many international shipping and removal companies can help you in bringing your precious belongings to Ivory Coast. The advantage in hiring their service is that they will be with you the entire moving process until your packages are safely sitting in your new home. The average transit time to Côte d'Ivoire is around 8-11 days, depending on your country of origin. Containers will arrive at the Port of Abidjan where cargos will be inspected by local customs officers. Make sure that your pet has a Rabies Vaccination Certificate and an Export Good Health Certificate stamped and signed by a government accredited veterinarian from your originating country. Both of these documents should be issued at least four days before your arrival. Cote d'Ivoire or Ivory Coast is a country rich in beautiful landscapes and people that always smile. Once you get settled, you will find yourself humbled by the locals’ simple ways of life. In spite of the many challenges Ivory Coast faced during the recent decades, the country is now recuperating and currently has the largest economy in the West African Economic and Monetary Union. Its potential for growth is not just the only reason why expats flock this country. Côte d'Ivoire is also a stunning tropical paradise that boasts orange roads that looks like strips of bronze and vast palm-tree forests that beckon you to spend a day with Mother Nature. This West-African country has estimated total inhabitants of 23.3 million, making it the 139th largest country in the world by population. About 4% of Ivory Coast’s population is non-Africans which include Spanish, Canadians, Americans, French, Vietnamese and Lebanese. In reality, the quality of education and public healthcare system in Côte d'Ivoire is not yet at par with most Western countries. However, Ivory Coast is one of the few nations that managed to preserve its natural beauty and rich culture while heeding the call of modernisation. It is the best destination for expats who seek a chance to improve their lives and careers while being surrounded by skyscrapers that stand hand in hand with majestic cathedral spires. Thanks to Ivory Coast’s extensive list of leisure activities, expats whether single or with family will hardly get bored. The great outdoors is one of the best places to have fun in this country. Expats can head to Taï and Comoé National Parks, a UNESCO World Heritage Site where visitors can marvel at turbulent rivers, vast African virgin forests and chimpanzees. It is also the largest nature reserve in West Africa. The Ivorian are also known for their love for sports. You can choose from athletic, water to combat sports. They also enjoy various kinds of physical activities such as Dancing. Côte d'Ivoire also boasts miles of pristine beaches, and some of the most popular areas where expats can take a dip during the summer are Bivouac and Poly-plage which are both accessible via bus from Abidjan, the capital. Those whose kids enjoy watching various animals can also visit Abidjan Zoo which houses over 40 different species. Soon enough expats will witness the enduring presence of Maquis (open-air restaurants) in the West-African culture. Maquis can be found almost anywhere across Côte d'Ivoire and is the ultimate meeting place for everybody. These eateries are the favourite hang-out spot of the locals whenever they want to unwind with friends, relatives or colleagues after a busy day. The Maquis are considered as democratic and humbling places where people from all walks of life and nationality sit shoulder to shoulder while enjoying good food. Service at the maquis is quite slow and expats should know that the locals eat with their bare hands instead of using utensils. The servers usually offer a bucket of water and soap for hand washing before and after the customer eats. Foods are affordable in this country which means that expats can satisfy their cravings while staying on a budget. Some of the most authentic Ivorian dishes that expats must try are the alloco (fried plantain served with a spicy sauce) and grilled fish or chicken served with yams (fermented cassava). 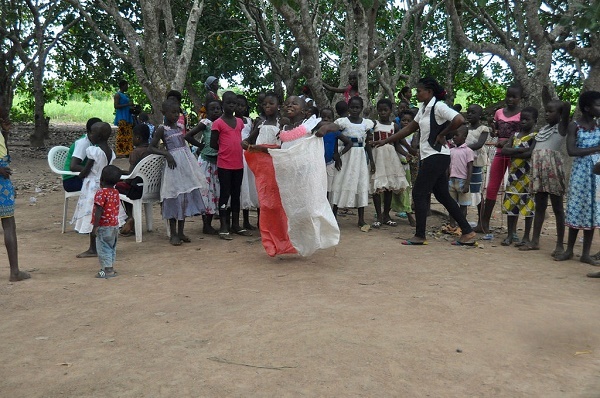 Music is a significant part of the Ivorian culture and to this day, many locals still gather while griots (story-tellers) use gongs or drums while entertaining. One of the most anticipated music festivals in this country is the Festival of Masks that takes place every November. It is celebrated in the region of Man as the locals pay homage to the spirits. By nature, the Ivorian are known for being humble no matter how high their achievements are. Expats in this country should avoid engaging in a conversation for the sake of bragging or showing off. The locals deeply respect people who admit their short-comings and show genuine interest in learning. At all costs, please avoid rude jokes especially if its about gender or race. Family is the core of the Ivorian society and they appreciate it when you ask about the health and welfare of their loved ones. Public display of affection is also rare in Côte d'Ivoire. The Ivorian believe that display of emotion between lovers or married couples should be done in private but holding hands, hugging and kissing are now common especially among the young people. Only a handful of Ivorian believes in ‘gender equality’. To this day, the men still serve as the bread winners and head of the family while the women usually take on the role of the ‘house wife.